Need a gorgeous pop of color for your fall wardrobe? 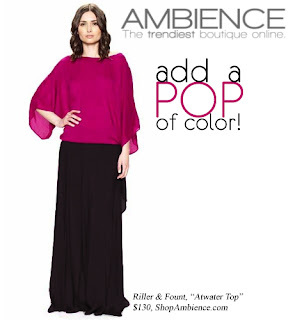 Riller & Fount Atwater top in magenta is the perfect was to infuse color in an urban chic way to your look. We love this awesome top at Ambience as it is versatile and you can wear it with your maxi, wide leg pants or favorite pair of jeans. Color, great style and versatility!